When an author embarks on a new journey, a new set of stories and characters, it is a somewhat risky proposition. Can the author carry over the same creativity, the same character development, the same blend of historical authenticity and believable fiction. In The Druid, Mr. McKay has successfully ticked all of those boxes. It is at once a thrilling adventure, a romp through a volatile period of Britain’s history, but it is also a character driven tale. Bellicus is a complex man; a warrior, a healer, a teacher, a bard, a spiritual leader in an age where his kind are on the decline. The task awaiting him tests all of his abilities and his emotions as events unfold. One of the features I enjoyed was the inclusion of Merlin (or, more correctly The Merlin), and Arthur as important bit characters. Stripped of the more mythical renderings, they are more down to earth, so to speak. I am always looking for good stories involving Celts, Druids and the might of Rome. 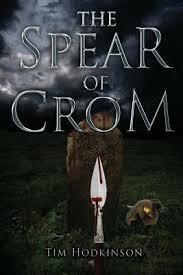 The Spear of Crom by Tim Hodkinson meets those requirements and more. 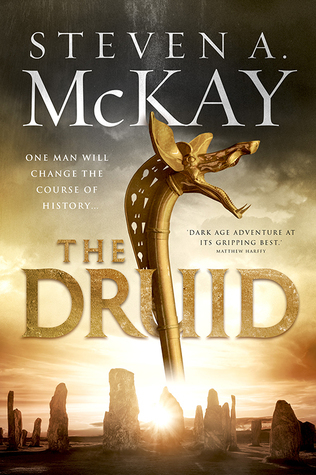 The story centers on one Fergus MacAmergin, a Prince of a Hibernian clan who runs afoul of his King and the Druids and is forced into exile. He joins the XIVth Legion as part of an auxiliary unit of cavalry and finds himself sent on a dangerous mission surrounded by those who want him dead. The mission is to retrieve a mysterious and mystical spear said to be by some the mythic weapon of the god Lugh and later of the mighty Celtic warrior Celtchar and by others the spear that pierced Jesus’ side as he hung on the Cross. In either case it is valued highly by those who seek to possess it. The General of the XIVth Legion, Gaius Suetonius Paulinus, is portrayed as an ego driven, power hungry individual, traits that are rampant throughout the Roman aristocratic mindset during that turbulent period of Nero’s reign when many sought to be the next Emperor. His agenda is but one of many that the author has injected into his characters. This plethora of plots and emotions are the fuel that feed this many faceted story. As the story unfolds in all it’s intricacies we are treated over and over again to the author’s descriptive powers in all manner of ways; battles, scenic imagery, religious ritual, the views of a Roman camp or a Celtic hillfort; the list goes on. The story also presents a variety of religions and the inevitable ways they clash and therefore provide the impetus for much of the agony of not only that time but indeed time immemorial. The pace of the book is frenetic and I mean that in a good way. You are turning pages to read action upon action interspersed with crucially tense situations. I would put the book down occasionally to catch my breath and ruminate on what I just read. In summary, if you’re looking for a story that transports you to the seething cauldron that is Roman power seeking or to the bitter rivalries between religions or the tribes of Britain then I recommend The Spear of Crom. I give it 4 stars.